A few hours ago, Smash Bros. Ultimate updated to version 2.0.0 and many changes were made. 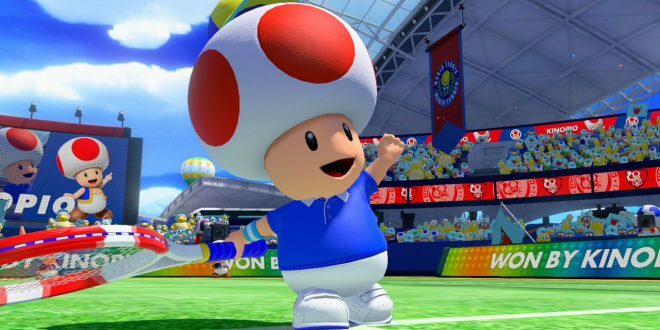 Today Nintendo announces that Mario Tennis Ace will be updated to version 2.0.0 and According to JapaneseNintendo these changes will be made. Added Court Selection screen to Free Play and Swing Mode. Co-op Challenge Boo Hunt returns (until 01 March 2019) and can acquire three different-colored Boo visors (pictured below). Mario Tennis Ace will be updated to version 2.0.0 at 10:00 JST on 01 February (17:00 PT on 31 January). In addition: Luma will be available to all players and Boom Boom will be available in the Online Tournament.